Initiative Group Alpbach Sarajevo (IGAS) was founded in 2007 by a group of former scholarship holders from Bosnia and Herzegovina, after their return from the European Forum Alpbach (EFA). 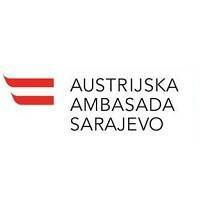 IGAS is the official partner of the European Forum Alpbach in Bosnia and Herzegovina. promotion of Bosnia and Herzegovina at the European Forum Alpbach in Austria. Ever since the founding of IGAS, European Forum Alpbach was visited by more than 110 students from Bosnia and Herzegovina! Besides the promotion of EFA and the regular activities during the Forum, IGAS is very active also in Bosnia and Herzegovina through organization of local projects. The main goal of IGAS is to educate and connect and this is exactly what we are trying to accomplish for our students by being active, not only during the Forum Alpbach, but also in Bosnia and Herzegovina. We kindly invite all the young people from our country to join us in Alpbach this year too by applying for scholarship!